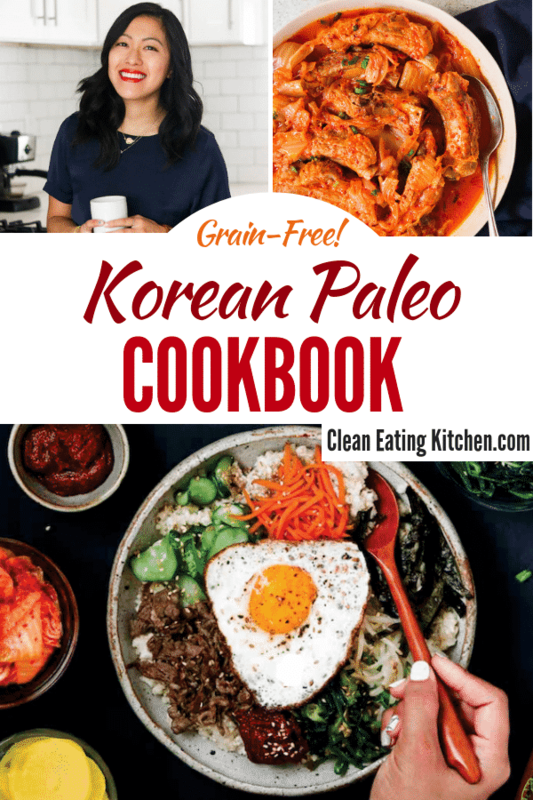 This post includes a written interview with Jean Choi, NTP, and author of the beautiful cookbook, Korean Paleo: 80 Bold-Flavored, Gluten- and Grain-Free Recipes. I am such a lover of Korean cooking, ever since I watched the cooking show, Korean Food Made Simple. While I loved the flavors and aesthetics displayed on the show, I felt overwhelmed with ingredients I didn’t recognize and flavors I’d never tried. Plus, the recipes on the show weren’t necessarily meant to be health-focused. 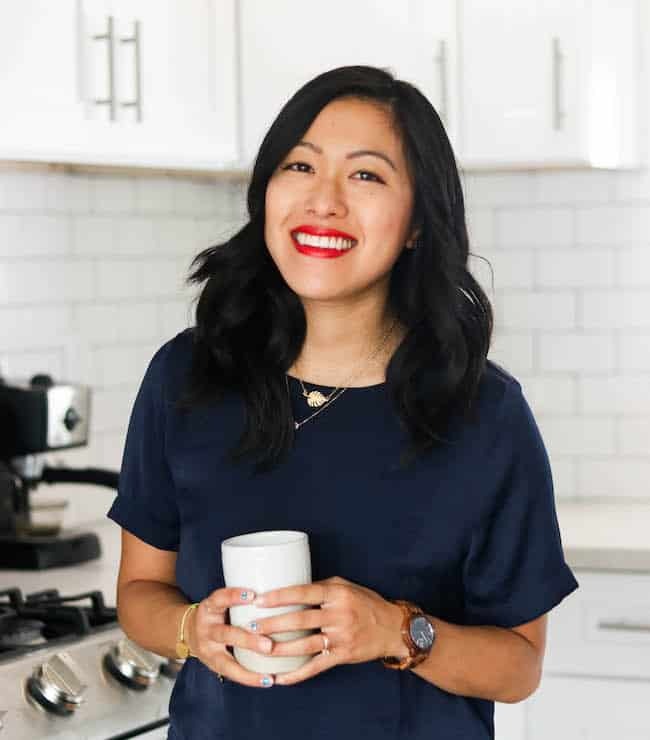 That’s why I was absolutely thrilled when one of my healthy blogger friends, Jean Choi, wrote her very own cookbook. If you’ve never visited Jean’s blog, What Great Grandma Ate, you should! Her recipes are gluten-free, grain-free, and perfect for anyone wanting paleo-friendly recipes with flavor. 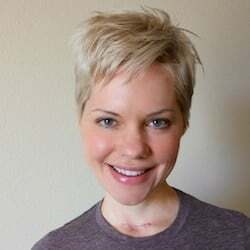 Jean started her blog to share her story of overcoming years of digestive issues and adrenal fatigue, and to help others realize that nutrient-dense, allergen-free cooking can be simple, easy, and delicious. Jean believes that the food you love should love you back through healing and nourishment. Carrie: What’s your first memory of understanding the connection between food and health? Jean: It was about 7 years ago. I had suffered for years with painful digestive issues and felt bloated all the time, and I couldn’t find a doctor who could pinpoint what exactly was wrong with me. I then decided to do my own extensive research and learned about food sensitivities and the paleo diet. I decided to try the paleo diet just to see if these sensitivities applied to me, and I was seriously amazed at how much my symptoms diminished in just a week! I never looked back since. Carrie: What, if any, health issues have you overcome? What are the biggest changes that helped? Jean: Besides digestion, I suffered from a host of hormonal issues for years, like adrenal fatigue, hypothyroidism, and losing my period for over a year. While diet was an important part of my recovery, as well as cleaning up my skin care routine, the one thing that had the biggest impact on my health is managing my stress. I still struggle with this, but when I prioritize reducing my stress level, that’s when I see the most drastic improvements in my health. Carrie: What is one lifestyle change you’ve made in the last year that you’d like to share? Jean: I recently started journaling a few months ago, and it’s been life-changing. I suffer from severe anxiety when I’m stressed and it helps so much to write down my thoughts. I usually write down what’s on my mind that day, and then 3 things that I’m anxious about and the 3 things I’m grateful for. Sounds so simple but it has made such a huge difference in my health inside and out! Carrie: What’s your morning beverage of choice? How do you make it? Jean: Matcha latte, always. I gave up coffee a while ago and fell in love with matcha! I like to add coconut milk, MCT oil, and grass-fed collagen to it. You can find my exact matcha latte recipe in this post. Carrie: Instant Pot, yay or nay? If yes, what’s your favorite food to cook in it? Jean: Double yay! I probably use it everyday and it’s my favorite kitchen gadget. I cook so many things in it, but my favorite is my Instant Pot Butter Chicken. It’s easy, budget-friendly, and always delicious! It’s on a weekly rotation in my house. Carrie: Do you have a mantra or piece of advice you can share with women who might be dealing with a chronic health issue? Jean: Healing is not linear. I feel like this phrase has been going around a lot recently, but it’s so true. It’s easy to forget how far we’ve come in our health journey when we momentarily relapse or take a step backward, but we have to remember that our path to healing can be difficult and winding. As far as I’ve come in my journey, there are days that I still suffer from my health issues, and I always have to remember how much worse of a condition I was in even a year back compared to now. Every time I do that, I’m always so grateful. We all need to be kinder to ourselves. Carrie: What’s another recipe you’d like to share? 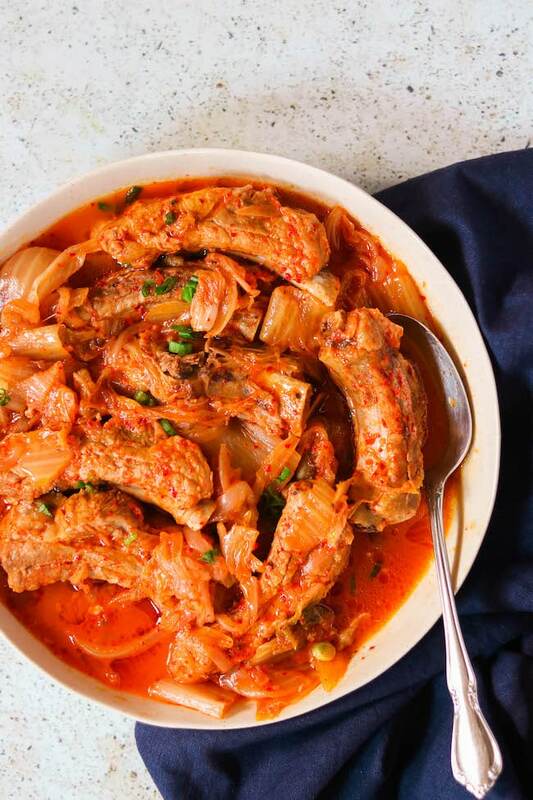 Jean: My Kimchi Braised Pork Ribs from my cookbook that I also shared on my blog. Thank you, Jean, for your inspiring interview answers and for creating such a wonderful cookbook full of beautiful Korean recipes that are meant to nourish. I am so proud and excited to have your book in my kitchen. Be sure to check out Jean’s new cookbook, Korean Paleo: 80 Bold-Flavored, Gluten- and Grain-Free Recipes!